A protein that athletes rightly turn their nose up at – because it doesn’t provide the optimal amino acids for muscle building – becomes a lot more interesting if you add leucine to it. Nutritionists at the University of Illinois wrote in Nutrition & Metabolism about the animal study they performed in which wheat protein became as anabolic as whey after leucine was added to it. Leucine is an interesting amino acid. Muscle cells ‘see’ leucine and, depending on the concentration of leucine they ‘see’, they decide how hard their anabolic machinery needs to work. 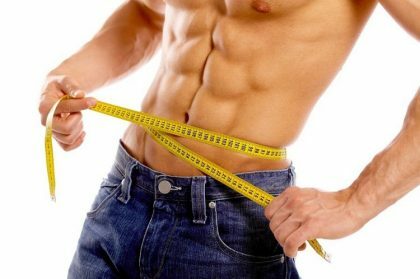 As a result the anabolic stimulus of a meal increases if you ingest a couple of grams of leucine with it. Studies have estimated that the growth stimulus increases by 16 percent. Strength athletes have noticed that their dairy-based proteins have become more expensive in recent years, and the prices look set to rise even further in the short term. Sports nutrition manufacturers notice that a shortage of whey and casein has arisen in the market. Demand is outstripping supply. It doesn’t take a genius to work out what that means for the price of high-quality protein powders in 2013. The long-term prospects are even more sombre. Demand for meat and dairy products is growing frighteningly fast in the economic giants in Asia and South America. It’s not clear how long strength athletes with an average income will still be able to afford protein supplements. Plant-based proteins may offer an alternative. These include proteins derived form wheat, soya, potatoes, algae or rapeseed. These are much cheaper than whey, but their muscle building effect is also less, as research by Norton and his colleagues has shown. Norton gave rats feed with a composition similar to a human diet. Sixteen percent of the food consisted of protein. One group of rats were fed gluten protein from wheat; another group were given soya protein; a third group got egg protein and the fourth group whey protein. Ninety minutes after the meal Norton measured the amount of muscle protein the rats were synthesising [FSR, bottom left in the figure below] and how hard the anabolic machinery in the muscle cells was working. Whey causes a better growth stimulus, as you can see below. Whey also strongly stimulates the anabolic key molecules 4E-BP1 and p70S6K1. Baseline = measurement after 12 hours’ fasting. When the researchers measured the concentration of amino acids in the rats’ blood 90 minutes after a meal they arrived at the table shown below. The more powerful the anabolic response of the protein, the higher the concentration of leucine in the blood of the animals. If leucine is indeed ‘the’ factor that makes whey such a good muscle builder, then a diet containing gluten protein might provide just as good a growth stimulus as a diet containing whey – if you enrich the gluten diet with leucine, was the researchers’ reasoning. So they carried out another experiment in which they gave a group of rats a meal containing gluten protein [WGG], a meal containing gluten and leucine [WGL] or a meal containing whey. The rats in the WGL group got as much leucine as the rats in the whey group, and all groups consumed the same amount of amino acids. And [drum roll]: The muscle protein production 90 minutes after a meal was the same in the WGL group as in the whey group. Norton’s findings are interesting for the growing number of vegan bodybuilders. If they are able to find vegan leucine, they would be able to boost considerably the anabolic effect of the plant-based proteins they consume. The same is true for foresighted sports food manufacturers, who are already working on plant-based protein supplements. Time will tell, but in a hundred years we may all well be vegan. Leucine content of dietary proteins is a determinant of postprandial skeletal muscle protein synthesis in adult rats. Leucine (Leu) regulates muscle protein synthesis (MPS) producing dose-dependent plasma Leu and MPS responses from free amino acid solutions. This study examined the role of Leu content from dietary proteins in regulation of MPS after complete meals. Experiment 1 examined 4 protein sources (wheat, soy, egg, and whey) with different Leu concentrations (6.8, 8.0, 8.8, and 10.9% (w/w), respectively) on the potential to increase plasma Leu, activate translation factors, and stimulate MPS. Male rats (~250?g) were trained for 14 day to eat 3 meals/day consisting of 16/54/30% of energy from protein, carbohydrates and fats. Rats were killed on d14 either before or 90?min after consuming a 4?g breakfast meal. Experiment 2 compared feeding wheat, whey, and wheat + Leu to determine if supplementing the Leu content of the wheat meal would yield similar anabolic responses as whey. In Experiment 1, only whey and egg groups increased post-prandial plasma Leu and stimulated MPS above food-deprived controls. Likewise, greater phosphorylation of p70 S6 kinase 1 (S6K1) and 4E binding protein-1 (4E-BP1) occurred in whey and egg groups versus wheat and soy groups. Experiment 2 demonstrated that supplementing wheat with Leu to equalize the Leu content of the meal also equalized the rates of MPS. These findings demonstrate that Leu content is a critical factor for evaluating the quantity and quality of proteins necessary at a meal for stimulation of MPS. 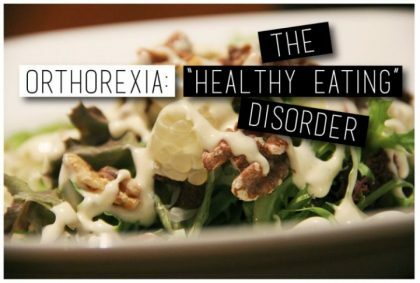 Orthorexia: When Training and Nutrition Becomes Your Enemies! HMB: Is this supplement worth the money?